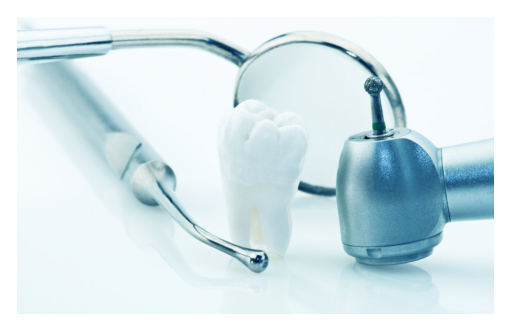 General dentistry is a branch of medicine focused on all aspects of oral health. A general dentist combines preventative care, patient education with expert information, and technical know-how to keep a patient’s mouth, gums, teeth, and jaws healthy throughout their lives. Dentists will diagnose diseases and disorders, identify conditions that may adversely affect oral health, and work with a patient to create an effective treatment plan to keep a patient’s smile healthy. A general dentist must complete dental school and earn either a doctorate degree in either Dental Surgery or Dental Medicine. State and national exams are administered, and passing them earns a certificate proving they are proficient at their craft. Passing the exams comes with state licensure, officially allowing the dentist to practice oral medicine. A general dentist does not typically have a specific specialty. Instead, they offer generalized dental care to patients, and may refer a patient to a specialist if they encounter a condition beyond the scope of their capabilities. Most general dentists can provide a wide range of services, including but not limited to complete examinations, cleanings, restorations, extractions, root canal therapy, and tooth prosthetic. General dentistry is at its best when all that is necessary is preventative care, such as examinations and cleanings. What is simple to fix in the early stages with basic restorative treatment like tooth colored fillings can become complex and dangerous over time. By visiting your dentist twice a year, you can avoid tooth decay and gum disease, and issues such as poor occlusion or disease can be identified and treated quickly and effectively. If you are in need of a general dentist in the Katy area and Houston, contact our office to make an appointment at Briter Dental today!